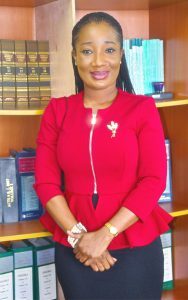 A graduate of the University of Ibadan, Nigeria and Harvard Law School in the USA (where she bagged a bachelor’s and a master’s degrees in Law respectively – the latter with a specialization in International Finance, WOLA JOSEPH brings to her current role as the Chief Legal Officer of Eko Electricity Distribution Company (EKEDC, or Eko DISCO for short) a vast range of practice and experience in both Nigerian and international corporate law and finance. A natural team leader and negotiator, Wola has been involved in the structuring of various key financing transactions, as well as playing pivotal roles in developing creative and successful approaches aimed at ensuring the success of said transactions. Over the years, Wola Joseph has made her mark in critical practice areas such as power, corporate and commercial law, project finance, corporate finance, structured finance, capital markets, corporate compliance and corporate restructuring. 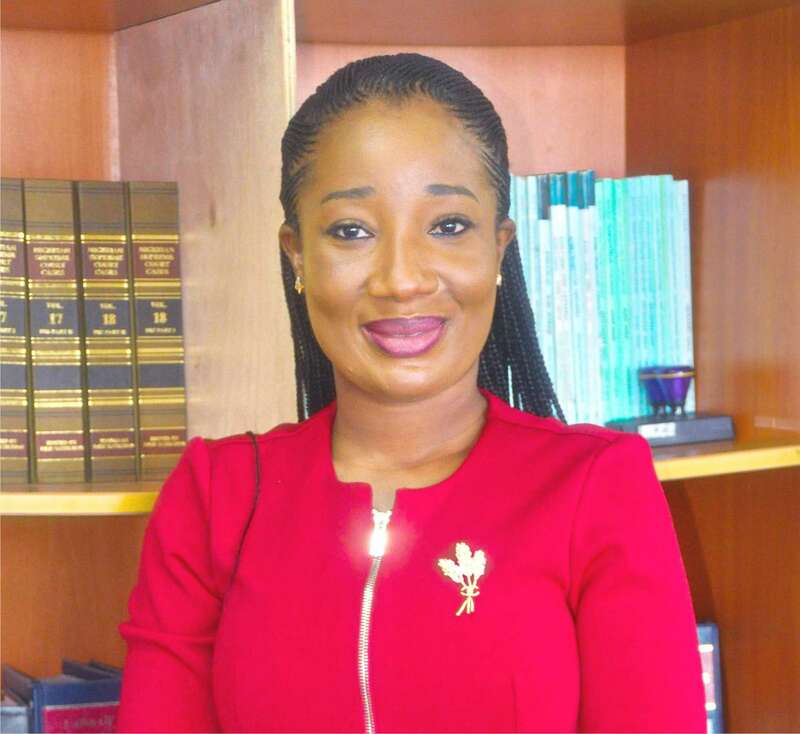 In her previous roles as a legal associate with the corporate and commercial law firm of Banwo & Ighodalo, and later company secretary/legal adviser with Lagoon Home Savings & Loans, she gained a well-earned reputation for innovation, pro-activity and a considerable flair for ensuring the smooth conclusion of the most complicated negotiations while managing to achieve the often-elusive balance between the law and the exigencies of business transactions. consumers monthly. What sanctions are such marketers liable for? WOLA: First of all, let me correct the first part of your question. Marketers do not unjustly allocate huge amounts of money to customers; In fact, marketers do not allocate any money at all to customers. Consumption is based on meter reading, for customers without meters; it is based on a formula and methodology put together by NERC (the National Electricity Regulatory Commission). That is what we comply with in determining the bill. The Marketers have the responsibility of picking meter readings, monitoring Prepaid Meters, sharing bills, inform the company of new customers, pick load inventories and assist in disconnection where required. Some consumers are still saddled with obsolete meters. What measures are you putting in place to replace them? We have commenced a meter roll out exercise in all our districts, where meters are being provided to our customers and installed free of charge. What we do to avoid any miss, is that while focusing on a particular area, we pick a transformer at a time, identify meters connected to such transformer, meter unmetered customers and change all obsolete prepaid meters that are not smart meters. We have successfully completed some parts of Surulere, Dolphin Duplex, Oniru in Ikoyi, some areas of Lekki, Festac, Satellite town, some parts of Mushin district and Agbara. We have as of today, installed about 412 meters to Agbara district, about 1,200 meters in Apapa, over 2,000 meters to Festac, over 2000 meters to Ijora, over 1,000 to Island District, over 1,000 meters to Ojo, almost 2,000 meters to Lekki and almost 2,000 meters to Mushin. We will soon deploy more to Ijesha, Ebute Metta, Dolphin highrise etc. 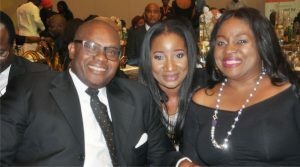 (Seated from left): Kofo Olawoyin, Wola Joseph (CLO), Ihuoma Chukwuka and Biola Ganiyu. As you may be aware, this project is capital intensive, but the Company is determined to lighten the burden of estimated billing on our customers and we are doing this in batches. As a matter of fact, DisCos lose money when they do not meter customers. What’s your advice to consumers who are being given estimated bills even when using old functioning meters? We are currently using smart meters and most of these old meters are faulty, but we ensure that our marketers pick readings of these meters and when meters are faulty, we are left with no choice but to put such customers on estimated billings pending the time when the meters are replaced. However, if a customer indeed has an old functioning meter and is still given estimated bills, he/she should complain to any of the customer care units of EKEDP, we will thereafter investigate and test the integrity of the meter. The new pre-paid meter is considered to be of the best quality. How can you ensure that it does not elude the consumers who need them the most? The process is transparent; as I said earlier, we are identifying premises connected to each transformer in a district to ensure no customer is left out. The Company is determined to meter all customers and measures have been put in place to ensure this is achieved. Share with us the challenges your company faced when you took over from PHCN. There were quite a number of challenges we faced after privatization, but the major one is the problem of obsolete and faulty assets that were handed over to us. The Company has spent and is still spending huge sums of money on rehabilitating and replacing these equipments in order to enhance electricity distribution. These assets are very expensive but the Company is determined to ensure better distribution of electricity. There is also the issue of non-cost reflective tariff, as we all know, the macro-economic indices considered by the MYTO to determine market participants’ annual revenue and electricity tariffs had changed significantly, i.e. inflation, forex, forecasted available generation, etc. For instance, there has been an increase in the official exchange rate from 198.97 to about N305 CBN rate and N366 Market rate to $1 these past years. Whilst the power purchase cost had been adjusted to reflect the Forex realities, our electricity tariff still remains at the unit prices determined at the old exchange rate of N198.97. NERC’s inability to adjust the tariff to reflect these changes led to well over a N168bn shortfall and increased cash flow issues for the DisCo. Also, there are billions of Naira owed to the DisCo by the Ministries, Department and Agencies of the Government (MDAs) which is still outstanding till date. How profitable is the automated billing process, compared to the meter reading process? If by automated billing you mean a direct debit scheduled on a predetermined date to pay recurrent bills, we do not have that arrangement, as bills are determined by consumption of electricity in the relevant month. DisCos are not able to fix electricity charges but pick meter readings in the case of postpaid customers. On the other hand, if the intention is to know whether or not pre-paid metering process is more profitable than post-paid meter reading process I would say without hesitation absolutely yes. To mention a few, apart from the assurance of getting paid, the cost incurred for picking meter readings, sorting and collating for billing would no longer be in the picture, there is also no computation errors which usually cost the company so much money particular when adjustments/ rectifications are made after justified complaints from affected customers. 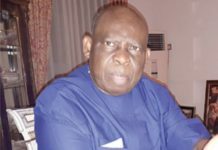 There are allegations of neglect against Eko Distribution in areas like Ebute-Meta, Ibeju-Lekki and few others concerning non availability of electricity supply. What are the steps taken to ensure that people in these areas feel your impact? There’s no such thing as neglect; we cherish all our customers. In the past year, we’ve had issues of vandalism in Ebute Meta and Ajah which affected the quality of power supply. However, these facilities had since been replaced and electricity has been restored accordingly. As for the unconnected customers along Ibeju villages, it is a gradual process; all the villages will be connected. Many factors of Nigeria’s electric problem have over the years intermingled to impose a multidimensional burden on the country’s power generation and distribution potential. In this day and age, and with all the natural resources Nigeria is blessed with, it baffles any right thinking person as to why the country is still at the megawatt generation stage, and why it hasn’t entered the terrawatt realm, or even selling electricity to other African nations? 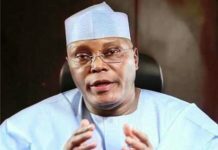 It appears that the vision of the country’s leadership is stuck in the 1970s mind frame, oblivious of the exponential increase in population and socioeconomic indices. Do you think we can get out of this menace in say another five years? There are so many challenges being faced by the Nigerian Electricity Supply Industry today, and it spans the entire electricity chain. Let us take gas as an example; gas availability has been a major problem in the industry. Most of our power plants use gas as fuel and the question is do we have enough gas to service these plants? No. Nigeria has been battling with gas pipeline vandalism for years, which has affected gas supply tremendously. Also, the dynamic nature of forex has contributed to the problem because gas is priced in dollars; so the increase in exchange rate affected the cost of gas which in turn has had a negative impact on payment obligations to gas suppliers. As you know, when a seller does not get his money for goods sold, there is a lack of enthusiasm to continue supplying such goods to the customer. There are other issues that have contributed to low power capacity including electricity losses, obsolete assets, lack of finance to rehabilitate or replace these equipment, vandalism, etc. The challenges notwithstanding, I will say yes I believe we will overcome these problems. The industry is beginning to think about renewable energy sources, which will reduce immensely if not totally solve the issue of gas availability we are currently experiencing. There is also a bill that is being proposed at the National Assembly for action on Renewable Energy. Furthermore, as you may be aware, some state governments have started considering various measures to ensure the provision of 24/7 electricity in their respective domains. With the various government interventions and renewable energy initiatives, there will surely be an improvement in the industry. What policy initiatives do you propose that may help in addressing and rectifying the situation promptly and efficiently, especially in Lagos? It is important to create awareness amongst electricity consumers – i.e virtually everybody – on the necessity of reporting faults through the right channels made available by EKEDP. For instance we have a website (www.ekedp.com ) were faults can be reported. Immediately a fault is reported, a ticket is issued and updates on the resolution of the fault is sent to the respective customer till the fault is resolved. With a generating capacity of a less than 4,000mw, the current outlook for the nation’s power sector looks bleak indeed. Do you see a brighter future ahead? Do you see the nation celebrating one year of uninterrupted power supply anytime soon? I will say yes, we are hopeful such a time will come, but how soon? I really cannot tell. How true is the information that a power-generating device that can solve the problem of power outages for good has been invented in Nigeria? I have not heard of such a device. Maybe if you are more specific as to the type of device you mean, I may be able to give an answer. Frequent cases of vandalisation of electricity installations and equipment in various areas have become a menace, costing your company over N50 million in monthly losses, disrupting electricity supply to customers as well as increasing the cost of supply. What measures has Eko Disco taken to tackle this menace? It is correct to say that vandalism has cost the Company way over N50m. We are however working closely with the Nigerian Police Force to arrest and prosecute vandals in the courts of law. So far we have successfully prosecuted quite a number of cases in court and we have some pending before various magistrate courts. We are also putting measures in place to secure our facilities in various areas to reduce this problem to its barest minimum. Share with us the emergence of Eko Disco. took place in 2013. EKEDP is one of the 11 DisCos unbundled in 2005 and privatized in 2013 acquired by West Power & Gas Ltd with a shareholding interest of 60% and Government owning 40% through the Bureau of Public Enterprise/Ministry of Finance. Now, growing up; share with us your educational background, family and peers. I am from a family of nine (six boys and three girls). I am the number 8 – the last but one. I got my LL.B and BL degrees from the University of Ibadan and Nigerian Law School respectively; I also have an LL.M degree from Harvard Law School USA. What are the key career and personal accomplishments that make you most proud? 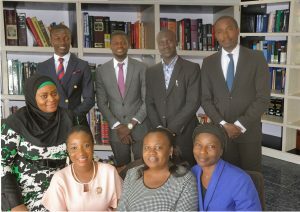 I received an award from the Legal Blitz Awards as one of the top 40 lawyers under age 40 for greatly impacting the legal profession in Nigeria, I was responsible for reviewing and negotiating all agreements related to the Central Bank of Nigeria-Nigerian Electricity Market Stabilization Facility which is the first of its kind in the industry, I reviewed, negotiated and advised on Distribution Assets sale and Purchase Agreement between EKEDP and Niger Delta Power Holding Company which involved the sale of over 100 National Integrated Power Project Assets worth over $100bn, and a whole lot of other transactions that time would not permit us to talk about. I have also been nominated for quite a number of notable awards. What inspired you to study law in university? It may sound like a cliché, but the main reason I studied law was to help people. I felt that the being a lawyer would give me the necessary background to do so. Was there any time at which you consciously wished to marry a lawyer? Tell us about your career trajectory before your current role as Chief Legal Officer and Company Secretary of EKEDP? Why the career move? I worked at Banwo & Ighodalo as a Legal Associate and Lagoon Home Savings & Loan ltd as Company Secretary. I have always been interested in the power sector. We are all well aware that there are some challenges in the industry and it remains my dream to be part of the people that will be responsible for stable and reliable power supply in Nigeria. Under your supervision, how has the legal department managed to avoid liabilities in the course of its duties? A lawyer does not have the latitude to make mistakes like every other professional; this has always guided me and my department in our dealings. The legal department has lawyers skilled in Alternative Dispute Resolution (ADR). As a matter of policy; we try our possible best in settling all issues amicably. Furthermore, we are lucky to have as our director, Mr. George Etomi who is more or less the face of the discos on industry issues. He provides a lot of support for which we are grateful. How best do you handle cases of vandals? Through ADR or in a court of law? 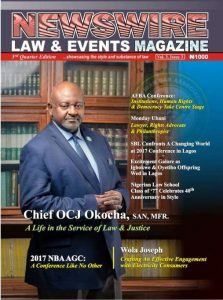 “Law and the Changing Face of Legal Practice”, was the theme of the just concluded 2017 SBL Business Conference. Do you think the outcome could create an efficient justice delivery system? Also, what could be the effect on electricity distribution business in Nigeria? The SBL Business Conference 2017 was quite an educational and pleasant experience, if lawyers and judges can be mindful of the deliberations; justice delivery system will be more efficient. Electricity distribution companies, like any other business venture, are parties to several cases and we all could benefit from an efficient justice delivery system. The business would definitely move forward if we don’t have to worry about adverse judgments or delayed dispensation. What opportunities do you see in the power sector that lawyers are not tapping into at present – and how can they do so? Opportunity is a matter of perspective; it takes a creative lawyer to identify one. 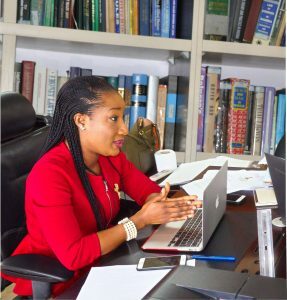 I cannot categorically say whether or not there is an opportunity somewhere, but I know that legal issues arise each day which should attract the attention and interest of lawyers. 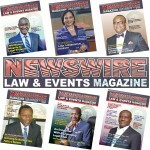 Lawyers need to be business-oriented and minimize rigidity in their dealings. Where do you see yourself – personally and professionally – in the next five years? In a more strategic position in the power industry. The Honourable Minister of Power, Works and Housing (Babatunde Fashola, SAN) is a good example and has proven to us that lawyers can also hold key roles and acquit themselves very well. What’s a typical day for you like, and how do you unwind? I watch movies and spend time with my kids. and I recently took up tennis. Thank you for your precious time, madam.